It makes sense that we get lots of questions about Windows Update and Patch Tuesday considering the nature of this website. So, instead of trying to answer them all individually every time they pop up, here's a really big page of Q&A's that should help out. "How often does Windows Update check for new updates?" You can always check for updates manually via Windows Update but it does happen automatically every day. Actually, Windows Update checks for updates randomly, every 17 to 22 hours. Why randomly? Microsoft realized that millions of computers checking for updates at the same time might just bring their servers down. Spreading the checks out over a period of time helps prevent that from happening. "Are the updates that show up in Windows Update necessary?" It depends on the kind of update you're talking about and what you mean by necessary. Necessary for Windows to function? No, not usually. Necessary to prevent unauthorized users from exploiting flaws in Microsoft software to access your computer? Yes, usually. The updates that, on most computers, install automatically, often times on Patch Tuesday, are security related patches and are designed to plug recently discovered security holes. These should be installed if you want to keep your computer safe from intrusion. Updates that aren't security related usually fix problems with or enable new features in, Windows and other Microsoft software. Beginning in Windows 10, updating is required. Yes, you can change this or that setting to put them off a bit, but there's no way to keep them from installing. Prior to Windows 10, however, you could choose to not install updates at all, but we certainly don't recommend that you do that. "Who would want to break into my computer? I don't have anything anyone could possibly want." No, you probably don't have missile launch codes, a copy of Google's search algorithm, or a secret Star Wars script, but that doesn't mean your information, or your actual computer, isn't useful to someone with malicious intent. Even if you've never stored or typed your bank account information, social security number, credit card number, address, phone number, etc. on your computer — all of which would be immediately valuable to a thief — there's plenty to want on anyone's internet-connected computer. Breaking into your email, for example, gives a spammer or malware author access to potentially thousands of email addresses. Imagine if an open security issue allowed someone scanning for holes just enough access to your computer to install a keylogger. That would give the individual at the receiving end access to everything you ever type on your keyboard. Often times, a computer itself is just as valuable as the information on it. If a hacker is able to silently install a certain kind of program on your computer, you could become one more computer among millions of other drone computers, doing the bidding of their master. This, usually called a DDoS attack, is often how high profile business and governmental websites are taken down. So, while it might be annoying to install a pile of updates once per month, it really is important that you do. Fortunately, even this once-a-month annoyance is ending. Starting with Windows 10, updates install much more regularly than on Patch Tuesday, and usually with much less trouble. "I read right on your site about the dozens of security holes patched every single month. Why didn't Microsoft make Windows and their other software more secure in the first place?" You could certainly argue that they could have done a better job. We happen to agree with you. No doubt there should be more effort put into security during software development. We're not saying there isn't any — certainly, there is — but more in this case probably is better. One important thing to note, too, is that all malicious eyes are on Windows. It's a huge number of computers in the world. When a hacker is looking to exploit something, the biggest bang for his or her buck is Windows. 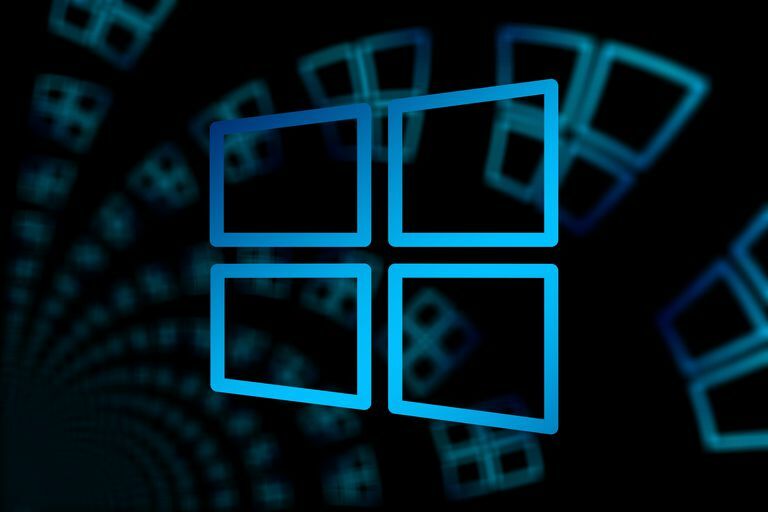 In other words, Windows comes under much greater scrutiny than other operating systems. However, unless you're considering installing something other than Windows as your operating system, this discussion isn't really valuable. It's actually good news when a security issue is corrected and that's probably a better way to look at the sometimes large number of updates you see. "The updates that were just installed are taking a long time to complete or configure. What do I do?" Many updates do their actual installing or finalizing as your computer shuts down or starts up. While it really isn't very common, sometimes Windows will freeze during this process. Be sure to read through that troubleshooting guide completely, but there's one thing we want to mention here about this: don't freak out. Don't restart your computer while it's starting up if it's taking a minute longer than you're used to — you might end up making the situation worse. "The Patch Tuesday updates just installed and now my computer doesn't work right! What now?" You have plenty of options, including undoing the updates, running certain fix-it processes, and lots more. "Does Microsoft test these updates before they push them out?" Of course, they do. When a Windows update causes a problem, it's likely due to a software or driver that has issues with the update, not the update itself. Unfortunately, there are an infinite number of hardware and software configurations that could exist on a Windows computer. Testing all possible computers systems would be impossible. "Why hasn't Microsoft fixed the problem that their update caused on my computer?!" Probably because it wasn't Microsoft's fault. Not exactly. True, the update came from Microsoft. True, your computer suffered some ill effect due to the updating. However, that doesn't mean that the update had any sort of issue in and of itself. Over one billion computers run Windows in the world. If a patch caused a widespread problem, you'd have heard about it on the national, and probably even your local, news. As we alluded to in the answer to the question above, the true cause of the problem is likely a poorly developed driver or software program on your computer. "I always seem to have problems with Windows updates. Is there some way I can keep them from causing problems?" There are several things you can do, both to prevent a problem from happening and to prepare in case one does happen. "Can I stop updates from installing automatically or disable Windows Update completely?" Yes, but only if you're running a version of Windows prior to Windows 10 since that OS doesn't let you completely disable updates. While we don't recommend that you disable Windows Update completely, it's perfectly reasonable to "turn the dial down" a bit if you'd like a little more control over the update process.